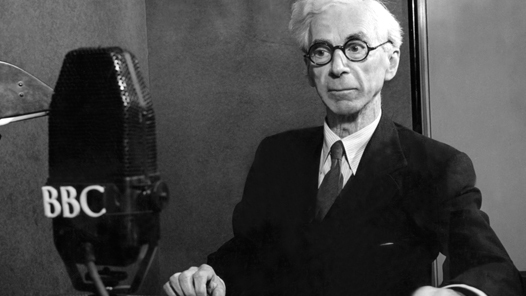 In 1948, philosopher Bertrand Russell sat in front of a microphone at the BBC. Listeners didn’t realize how cool he looked. Russell, a Nobel laureate, gave the inaugural Reith Lectures, a series of radio transmissions aimed at connecting experts in various fields with the general public. The lectures focused on topics of significance for their time, by the likes of J Robert Oppenheimer and George Kennan. If you don’t know who those folks are, then look ’em up, cause they’re kinda important. Yup, big names and their ideas were made accessible to people listening to their radios. Now, the lectures are all available in an online archive, which can be found below. Give a listen to the unwritten. Do you remember 2010’s This is Not a Conference? It was, of course, where Graduate Music Student Association (GMSA) & the History and Classics Graduate Students Association (HCGSA) at the University of Alberta (UofA) joined forces to make an even longer acronym (GMSAHCGSAUOFA) and host a combined panel as part of their respective conferences. I don’t know if you’ve noticed, but recently the mainstream media has really been lacking in the investigative news department. 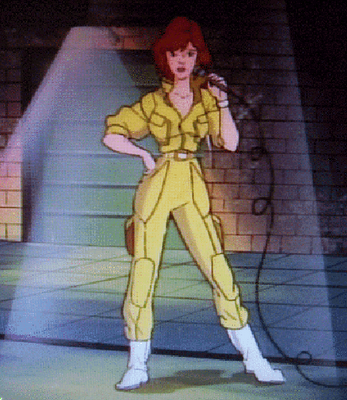 We used to have journalists like April O’Neil willing to go down in the sewers of New York City to get to the bottom of the whole mutant ninja turtle business – and now all we have is TMZ trying to find out which b-list celebrity has anchovies on their pizza. So when I heard rumblings of a new group forming in Edmonton called “the Collective West” – I thought this was my chance for a big scoop. Were they a new political organization like the Alberta Party or the Wild Rose Alliance Party? Were they an underground network of anarchists set to throw off the authority of the federal government? Or were they a group forming to protest the inability of Western Canadian hockey teams to win the Stanley Cup? Categories: "Intellectual" Events, So Russell...what do you love about music? 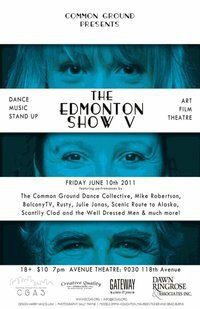 Give the Edmonton Show a High-Five! A) Talking about using taxpayer money to help build a new ice hockey arena for a billionaire and other fatcats that don’t want to leave downtown. B) Talking about an arts festival that’s accessible to everyday folk, and showcases talent from within the community. C) You can’t think about revitalization right now, thanks to the ridiculous Speed reference. If you answered “A“- quick, stop reading now! Unfortunately, this article won’t lead to you making more money, so you’ll consider it a waste of your time. Go check your stocks! If you answered “C” – fair enough. Next question: What are your top 5 favourite Keanu Reeves’ films? If you answered “B” – well then, you’re in luck, because at this very moment an arts festival is on in Edmonton with that exact purpose! It’s called Nextfest. Here’s a bit about it.